Tis’ the season to be jolly, fa la la la lala la la SPEND! I love a good holiday makeup collection, especially when I don’t have to make a huge dent in my credit. 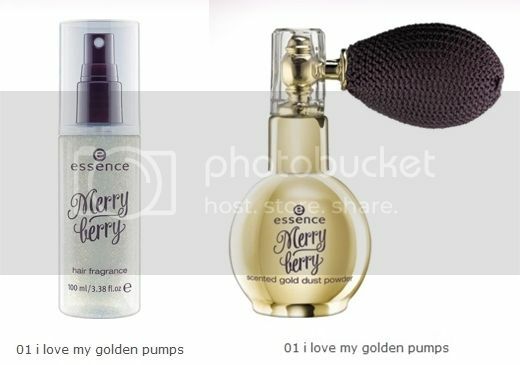 So when I saw the Essence “Merry Berry” Collection stand fully stocked I was ecstatic. 1 really beautiful Highlighting Powder called “I love my Golden Pumps”, that I am pretty sure sold out by the time I left the store. I had to compare it with a cult favorite to see… So here it is next to theBalm’s Mary-Lou. 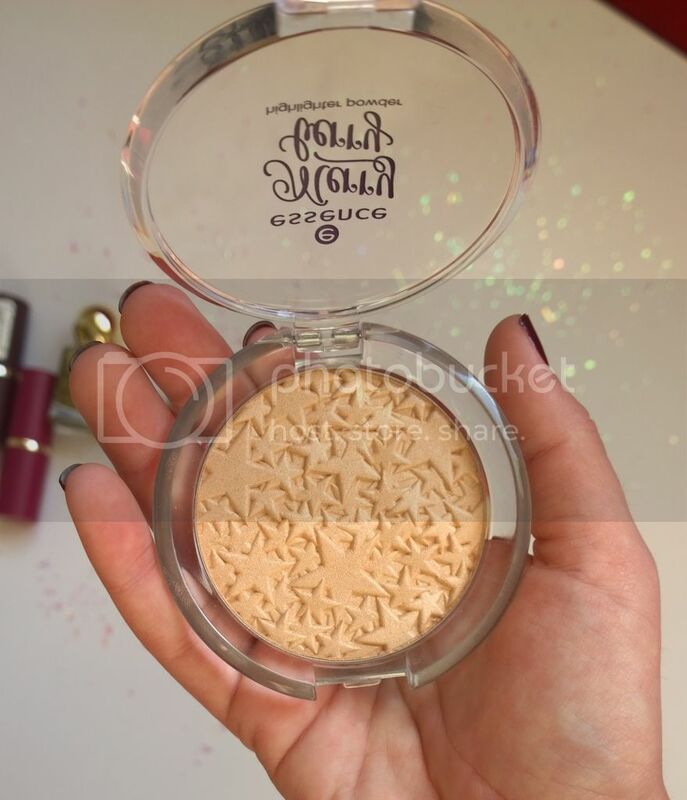 As you can see, Mary Lou is a bit more golden and more shimmery of course. 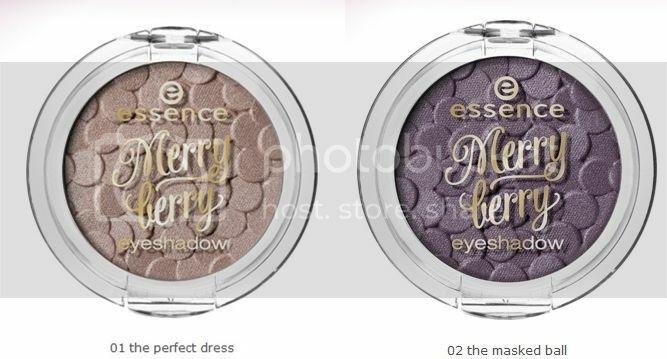 The Essence one is paler and a bit more subtle. 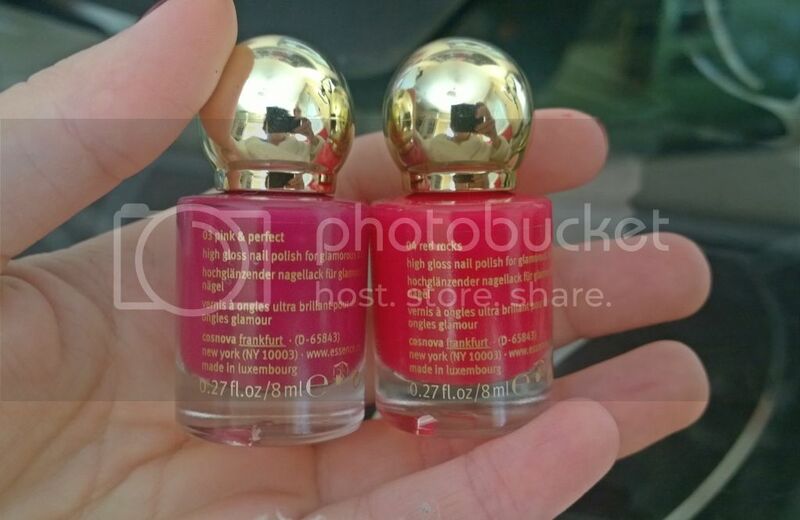 I got the two lightest shades and the top coat. I actually really like Essence nail polishes a lot. When I don’t opt for shellac nails, my go-to nail polish choices are either Essence or China Glaze. Since my nails were already painted beforehand and I couldn’t mess them up too much I had to ratchet-swatch them on some fake nails I had laying around at home. Yeah, I know. Nail wheel next time. Ok. Look how good that top coat looks over black though! 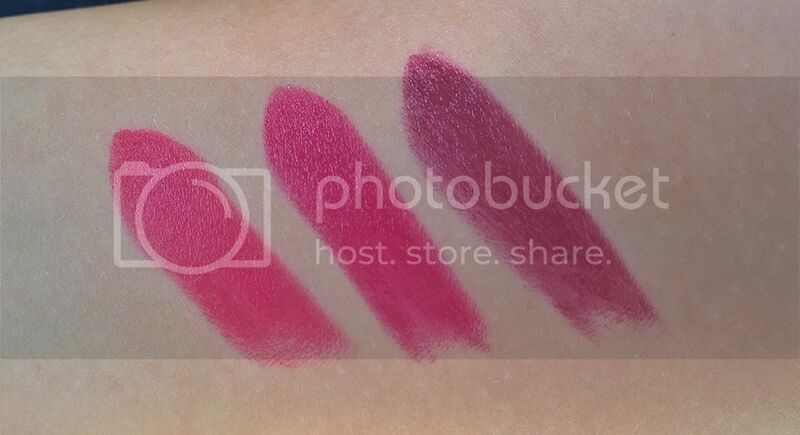 3 creamy lipsticks that correspond to the nail polish shades “let’s the fairytales begin” (yeah, that’s actually the name, I am not illiterate…) “Pink&Perfect” and “Red Rocks”. I got all 3. 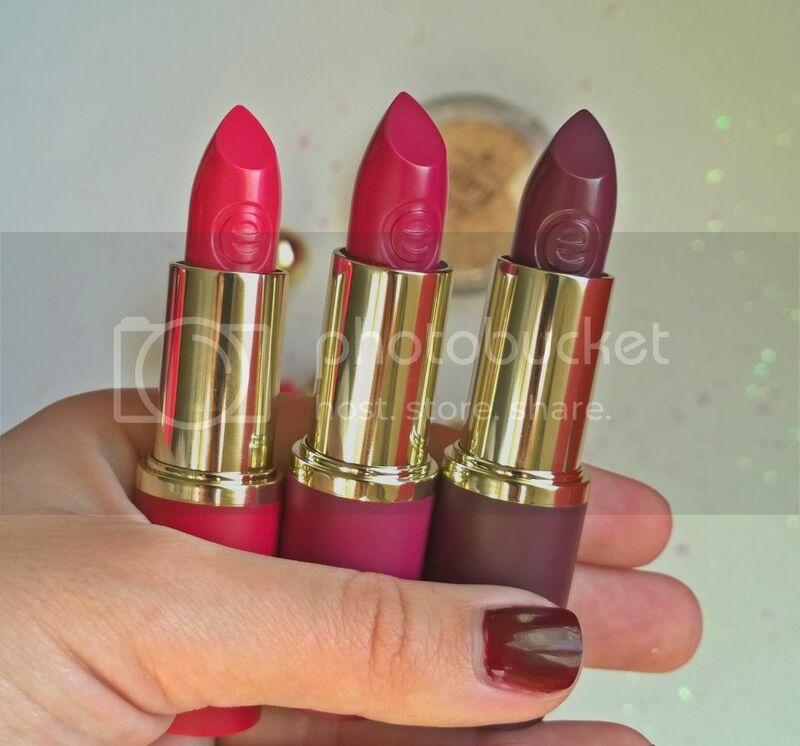 I love Essence lipsticks, they’re awesome. Considering the price, they are definitely worth more than you pay for. 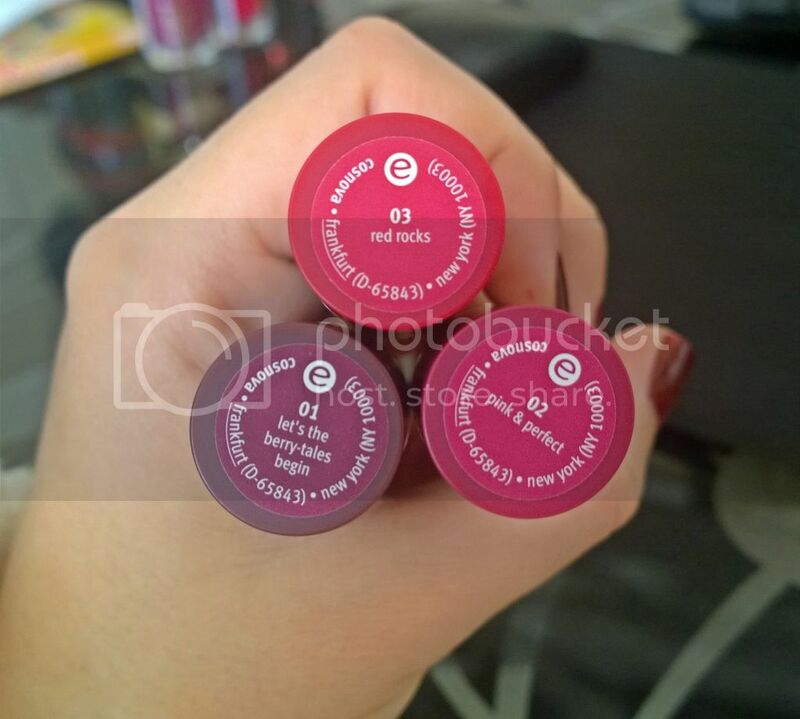 They are not matte, but they are very comfortable on the lips, and those 3 (I guess to follow the theme of the collection) have a really faint berry scent. The color is surely buildable with these ones. But still, they are very good quality for the price of 2,87€. 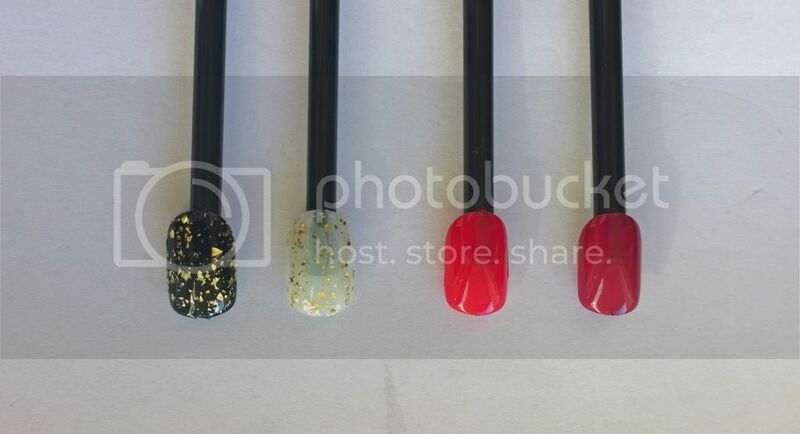 Apparently, there were some individual lashes and nail art stickers in the collection as well, but I either didn’t notice them or they weren’t even there. Good job Essence! Keep it up!